Become the most respected cowgirl in the wild, wild west! 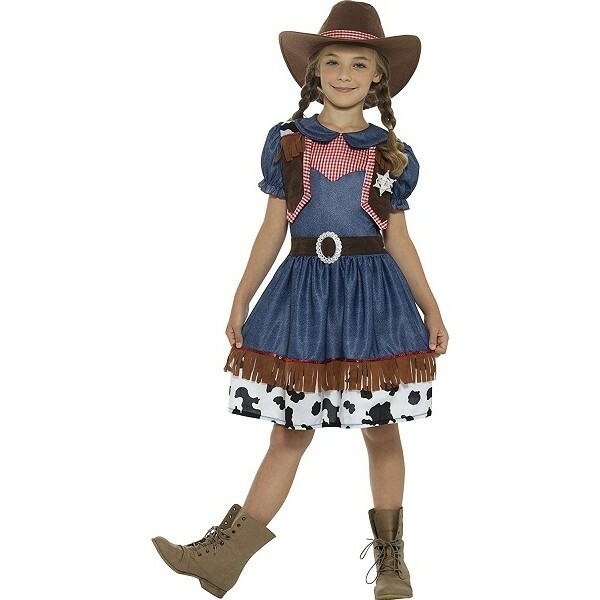 This cowgirl costume is perfect for any Mighty Girl who's ready to ride the range. This costume set includes a denim-style dress with checkered gingham design, an attached belt buckle, a vest, a sheriff's badge, and a hat. Please note: boots not included.